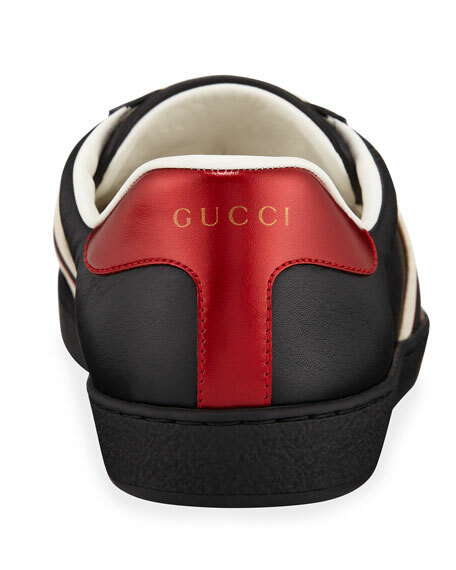 Gucci "New Ace" leather low-top sneaker. 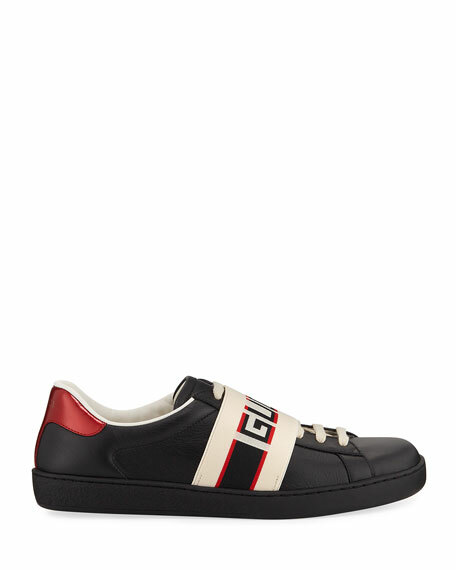 Red and black Gucci jacquard striped elastic band across vamp. Red metallic leather detail at back. Gucci "Flashtrek" sneaker in reflective fabric and mesh. Rubber GUCCI game patch in Sega?? font, used with permission of Sega Holdings co. Ltd. Perforated, padded ankle detail. 2" rubber lug sole. 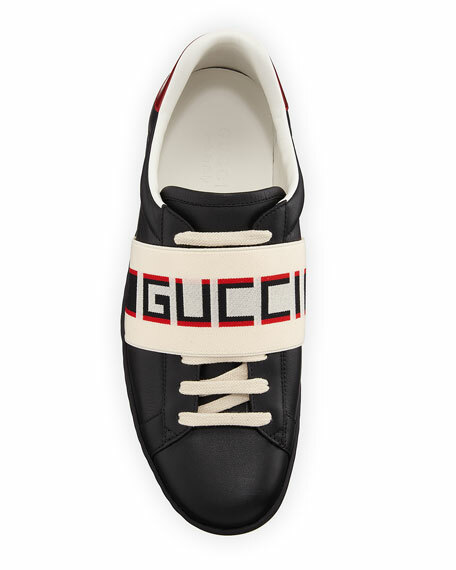 Gucci team loop. Made in Italy.